Wondering what a Linky Party is or how it works? Read this explanation for help. 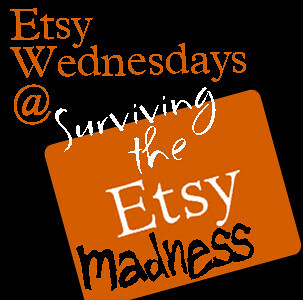 One of my favorites from last week's Etsy Wednesday was Hannah Creates. 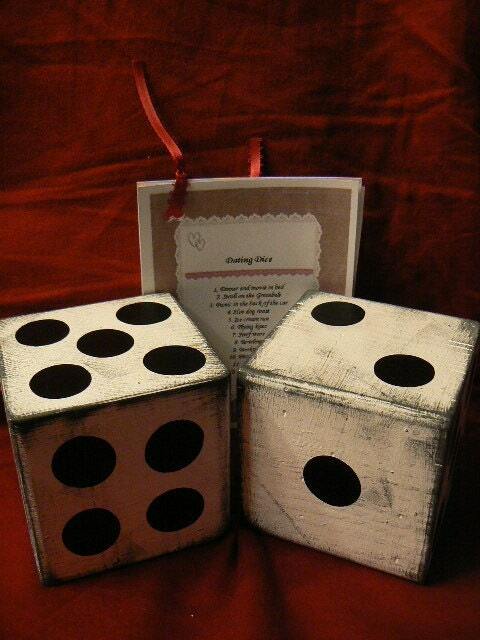 This set of Dating Dice comes with cards for dating, romance, kissing, and family fun. She generated some good conversation on Facebook with these since they're playful, but not racy. Hannah's shop has only been open a month and she already has three sales! Only one link per shop, please. Karen, thank you so much for featuring my dating dice! Lots of great shops this week! Karen I love the earrings and the black and teal dress from Elle Dee Designs!